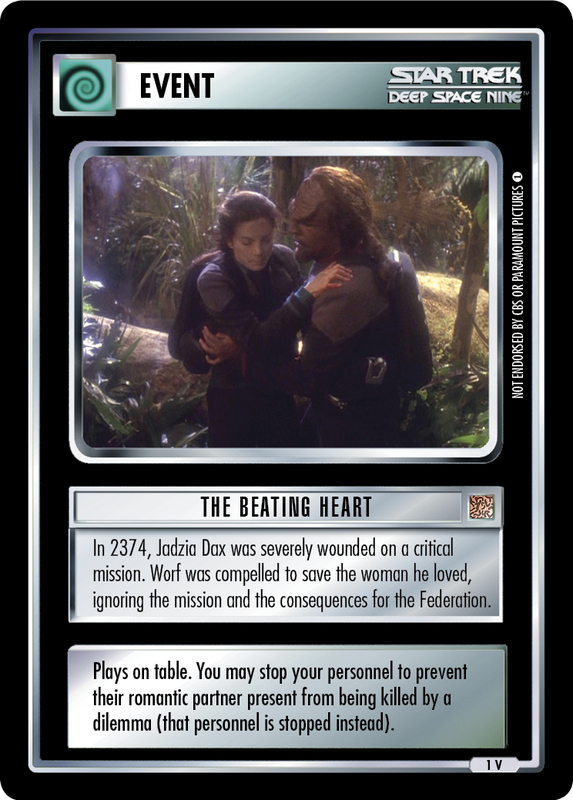 In 2374, Jadzia Dax was severely wounded on a critical mission. Worf was compelled to save the woman he loved, ignoring the mission and the consequences for the Federation. Plays on table. You may stop your personnel to prevent their romantic partner present from being killed by a dilemma (that personnel is stopped instead). 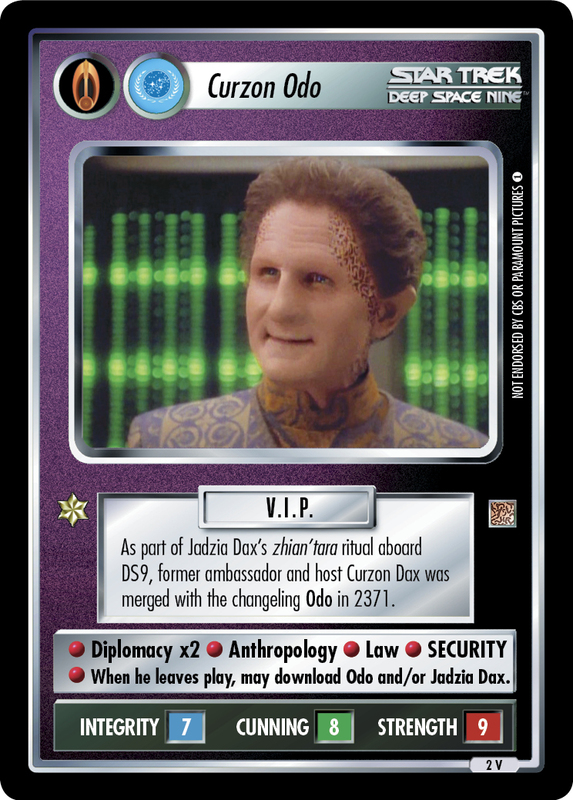 Image Source: Deep Space Nine: "Change of Heart"